The groundbreaking and absolutely delightful “Mister Rogers’ Neighborhood” ran for decades on public television, and this children’s program helped positively shape millions and millions of kids’ outlooks and moral compasses. In 2018, the new documentary “Won’t You Be My Neighbor?” is a wonderful, sentimental trip down memory lane for adults who grew up watching the show and its creator, writer, producer, and star: Fred Rogers. Accompanied by moving – and not radical - soundtrack, the documentary raises genuine emotion for “Mister Rogers’ Neighborhood”, its creator and the hope that more caring, nice people like Fred Rogers exist in the world in 2018. Yes, they do exist, because the millions and millions of children who watched his show are now living and breathing adults. 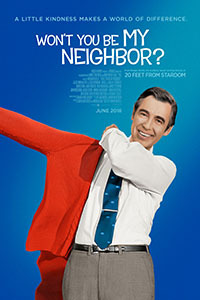 “Won’t You Be My Neighbor?” (4/4 stars) arrives in theatres on Friday, June 8. 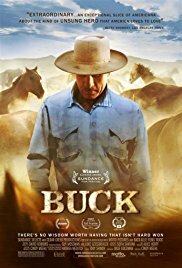 “Buck” (2011) – During the 1950s, westerns ruled the big and small screens, and countless kids thought of cowboys as their heroes. In the 21st century, Buck Brannaman is a modern-day cowboy, and he is this critic’s hero. In a heartfelt and engaging documentary, director Cindy Meehl opens up her camera and lets Brannaman tell his story. He is a horse trainer/real-life whisperer (who was also a consultant on Robert Redford’s “The Horse Whisperer” (1998)), and he takes a revolutionary approach to his craft. Rather than employing traditional cracks of a whip and barking angry demands, Brannaman works with horses by offering love, respect and whispers. This doc takes unexpected emotional turns during Brannaman’s biography, and many of these moments will resonate long after the end credits. 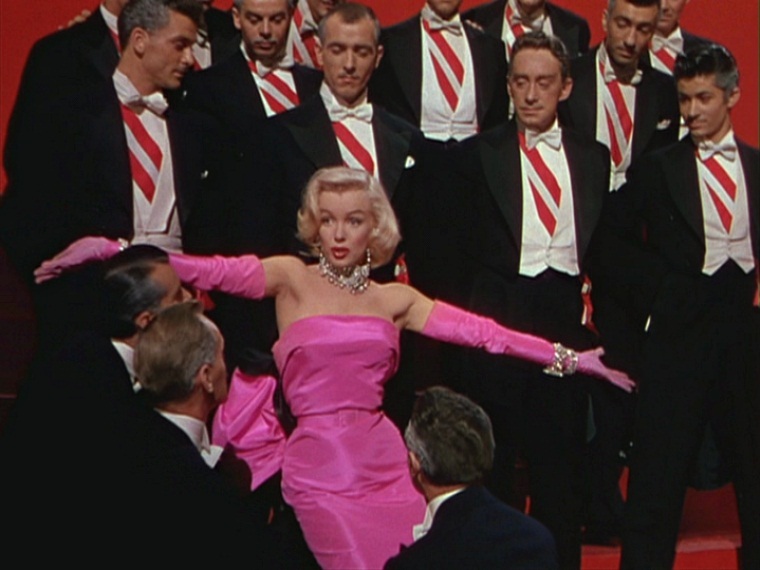 “Gentlemen Prefer Blondes” (1953) – This musical/comedy features two women - Dorothy (Jane Russell) and Lorelei (Marilyn Monroe) – taking their lounge singing act on a cruise ship, and it might be the most breezy and fun picture of Monroe’s illustrious career. Now, Dorothy owns a heady and steady pragmatism, but Lorelei dives head first into relationships. She has a purpose though: she loves rich men! Monroe’s iconic performance of “Diamonds are a Girl’s Best Friend” is just one of many highlights with these two fabulous characters and their associated nautical escapades. They are polar opposites, but they share marvelous cinematic chemistry and an agreeable comradery despite their differences during their joyful trip. “Going My Way” (1944) – St. Dominic’s, a New York City church, is in trouble. Financial trouble. Father Fitzgibbon has fallen behind on the mortgage, but enter Father Chuck O’Malley (Bing Crosby)! With a spry skip in his step, a smile, oodles of good advice, and an occasional song, Father O’Malley might live a humble existence, but he’s as reliable as the sun rising over the eastern horizon every morning. Although, is he the right man for the job? Well, Crosby was right for this all-around, good guy role, because he won the Best Actor Oscar! “Going My Way” won seven Oscars all together, including Best Picture, and hey, it looks like nice guys and nice movies finish first. “Kedi” (2016) – “Though cared for by many, they live without a master, and whether adored, despised, or overlooked, they are undeniably part of everyone’s life.” This quote from director Ceyda Torun’s documentary explains Istanbul’s human/cat relationship, and her warm and soothing film is a must-see for everyone who loves animals. Well, admittedly, dog-only people will probably not feel in tune with this movie, but cat people will adore it. Torun follows several street cats and their travels at ground level and then interviews their human friends who lovingly discuss the times that these felines stop by for frequent visits. During its 79-minute runtime, “Kedi” organically captures the love, caring and respect between the two populations, along with precious minutes of adorable cat and kitten screen time. Sure, Istanbul might need a more robust spay and neuter program, but that’s a different movie. For now, just enjoy this one. “Kitchen Stories” (2003) – Director Bent Hamer’s oddball, playful import is as fresh as a breath of crisp Scandinavian air. Just after WWII, Sweden’s Home Research Institute – a technological leader in improving home efficiencies – wishes to understand the kitchen habits of single Norwegian men. Who knows how they tick, right? 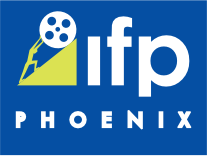 This pits an elderly hermit named Isak (Joachim Calmeyer) against Folke (Tomas Norstrom), who has been assigned as his observer during a frigid winter in an isolated, snowy village. The weather plays the role of a third character in this already awkward circumstance and elevates the movie to a new level of comedic discomfort. Hey, progress requires sacrifice. 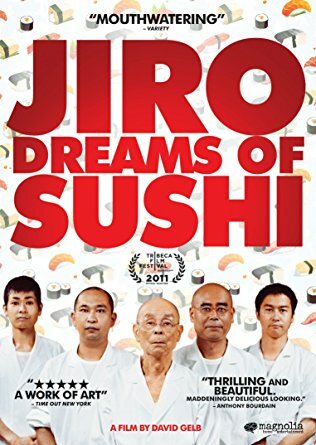 Actually, experiencing “Kitchen Stories” is the exact opposite of sacrifice, so grab a space heater, a cup of hot chocolate, and a blanket and curl up with this unique little comedy. “Queen to Play” (2009) – Sandrine Bonnaire absolutely shines as a housekeeper who attempts to break from her daily routines to pursue a passion and – perhaps – accomplish an extraordinary achievement. At the beginning of the picture, writer/director Caroline Bottaro quickly reveals Helene’s (Bonnaire) story. Helene’s life may be fine, but something is missing. She has more to offer. By random chance, Helene stumbles upon the world of chess. Chess? Sure, why not? 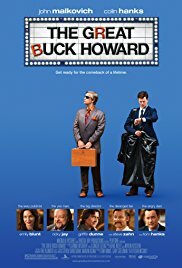 Her husband unfortunately doesn’t approve of her new hobby, but an eccentric widower (Kevin Kline) takes her under his wing. In turn, Helene begins to spread hers. An empowering and inspiring story, “Queen to Play” chronicles one’s passion and showcases that desire cannot always be easily explained. It may just simply and internally burn brightly. “The Greatest Showman” (2017) – Hugh Jackman, Zac Efron, Michelle Williams, Zendaya, and Rebecca Ferguson star in a gorgeous, vibrant musical about P.T. Barnum and his famous circus. Director Michael Gracey and his crew present beautiful sets that match the outstanding and very catchy production numbers in this pomp and circumstance-wonder. The film offers lessons of reaching for stars and embracing our own unique selves and is anchored by two love stories: P.T. Barnum (Jackman) and his wife (Williams) and also a young protégé (Efron) and a trapeze artist (Zendaya). Of course, in the world of musicals, these couples run into rocky patches that are admittedly predictable, but the glorious visual and musical experiences outweigh any familiar plotlines. “This is Me” was nominated for a Best Song Oscar, but this critic would argue that “Rewrite the Stars” and “Never Enough” have more staying power. No matter. Sit back and enjoy the show! “Unfinished Song” (2012) – Arthur’s (Terence Stamp) pain runs deep. The way he sees it, his loving wife Marion (Vanessa Redgrave) is his life’s only bright light, but with her health rapidly deteriorating, he doesn’t have much to smile about these days. Worse yet, he detests Marion’s frequent musical caucuses with her choir club at the Smith Hall Community Centre, and he takes out his frustrations on his son (Christopher Eccleston). In writer/director Paul Andrew Williams’s picture, he engenders a battle of wills between a group of positive-thinking elderly choir members including their infinitely likable – and much younger - teacher (Gemma Arterton) versus Arthur and his determined, hovering dark cloud. Will Arthur see life through a more constructive, optimistic and cheerful lens? Geez, this movie doesn’t sound like a nice experience. Well, you’ll have to watch it to know for certain.